Our entire staff at Leith Volkswagen of Raleigh is devoted to always offering excellent customer service to every individual who walks through our dealership doors. With a prime location off Capital Boulevard in Raleigh just one mile north of I-540, we are convenient and easy to get to from all points of the Triangle. At Leith Volkswagen of Raleigh, we look forward to helping you find the vehicle that meets your needs and exceeds your expectations. We have an amazing selection of Volkswagen models to choose from that fit your lifestyle and your budget. 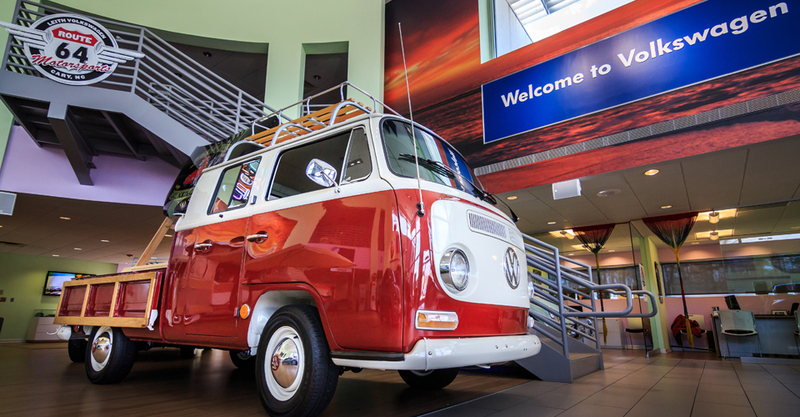 We hope to see you soon and see you drive away happy in a new VW! When you walk inside Leith Volkswagen of Cary, you know right away you have come to the right place for a new Volkswagen. Actually not just a Volkswagen because we also offer a wide range of pre-owned vehicles. Our friendly staff is dedicated to providing exceptional customer service and will help guide you through your car buying journey. The Volkswagen brand is all about fun and reliability. You deserve to have a car that meets all your needs and is a lot of fun. You’ll find exactly that at Leith Volkswagen of Cary. We are a part of the Leith Automotive Family, and we invite you to join our family as a valued customer. At Leith Volkswagen, we are here for you and all of your automotive needs. We are always thinking of the customer first and always work toward exceeding the highest of expectations. This work ethic and way of thinking is the Leith way of selling cars and it’s what has given us decades of success. When you visit us, it’s clear from the get-go that we are your one-stop shop for everything automotive. Buying a new car? Check! Leasing? Check! Looking for a brand new vehicle? Check! A pre-owned vehicle? Check! Need Service? Check! Financing? Check! Parts? Check! Nothing is left blank on your checklist because Leith Volkswagen does it all. And we do it all with the customer in mind because that’s who really matters. We put the customer first and always strive to offer nothing but the best when it comes to customer service and meeting our customers’ needs. For your convenience, we have two dealerships – Leith Volkswagen of Cary and Leith Volkswagen of Raleigh. We are proud to be a part of the Leith Automotive Family and proud to serve the Triangle area. Leith Volkswagen proudly serves the greater Raleigh, Cary, Durham and Wake Forest North Carolina area with the best new, used and certified pre-owned Volkswagen cars and SUVs. Centrally located in Raleigh and Cary, Leith Volkswagen serves other NC cities such Apex, Morrisville, Durham, Wake Forest and Chapel Hill. The premier Volkswagen dealership in Raleigh and Cary, Leith Volkswagen offers the full line of new Volkswagen models. New Volkswagen cars like the Volkswagen Passat, Volkswagen Jetta, Volkswagen Beetle, and Volkswagen Golf are always available at Leith Volkswagen. Volkwagen SUVs like the Volkswagen Tiguan, Volkswagen Touareg, Volkswagen Alltrack, and Volkswagen Atlas are also available. If you live in Cary, Raleigh, Durham, Wake Forest or Chapel Hill, North Carolina shop Leith Volkswagen for your next new Volkswagen vehicle. 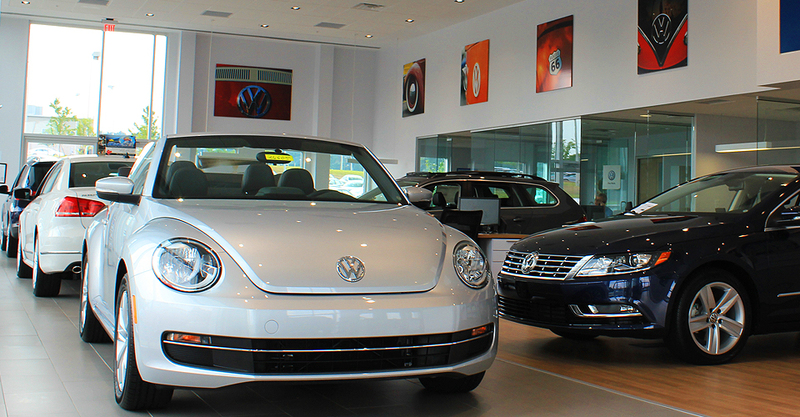 Leith Volkswagen offers Certified Pre-Owned Volkswagen cars and SUVs. Used Volkswagen cars like the Volkswagen Passat, Volkswagen Jetta, Volkswagen Beetle, and Volkswagen Golf. Used Volkswagen SUVs like the Volkswagen Tiguan, Volkswagen Touareg, Volkswagen Alltrack, Volkswagen Atlas are also offered. Consider purchasing your next CPO Volkswagen from Leith Volkswagen, the area’s trusted Volkswagen dealership. Rest assured knowing your Volkswagen vehicle is getting the best automotive service and repair from a talented group of Volkswagen certified service technicians. We are qualified to perform Volkswagen oil changes, Volkswagen brake, Volkswagen tire repairs and replacements as well as Volkswagen transmission repairs, Volkswagen air conditioning repairs and tire alignments. Visit Leith Volkswagen, a North Carolina Volkswagen dealership, at 4005 Capital Hills Drive in Raleigh, North Carolina or 2300 Autopark Boulevard in Cary, North Carolina near Wake Forest, Durham, Apex and Chapel Hill. Call today to request additional information about specific Volkswagen cars and SUVs for sale in Raleigh and Cary, to schedule a test drive or inquire about leasing and financing.